Shrine Mont Camps are often the place where campers know God best. Help us meet the challenge so that every child can have the opportunity to go to camp. 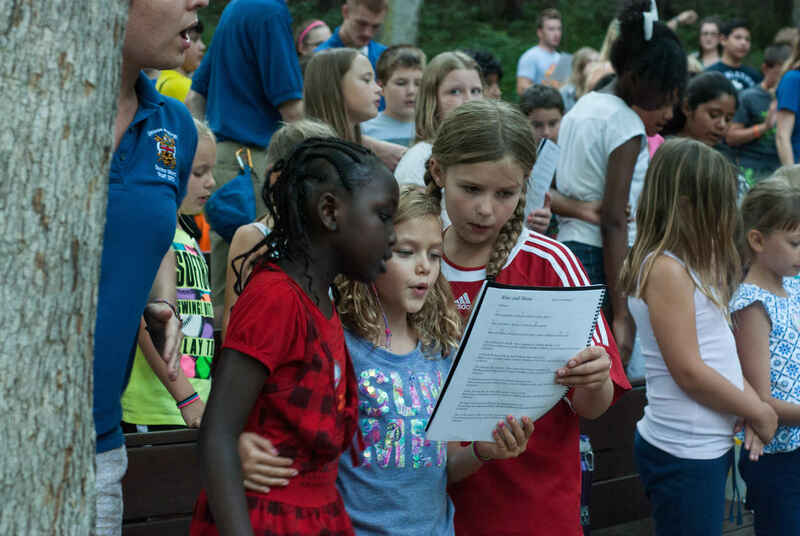 Shrine Mont camps promote the emotional and spiritual development of children, youth, and young adults through fostering a safe and positive environment for all. It is the goal of our camps to encourage the growth of relationships with self, others, and God. Also, we sing when we're happy. Which is all the time. The Mary Morton Parsons Foundation of Richmond has given the Shout It from the Mountain Capital Campaign for Shrine Mont Camps a one-to-one challenge grant of $50,000 to help the campaign reach its stretch goal of $2.5 million. To date, the Shout It From the Mountain campaign, a partnership between Shrine Mont and the Diocese, has raised just over $2,300,000. Half of the funds raised will go to scholarship endowment so any child is able to attend a camp regardless of their financial situation. The other half of the funds will be used to renovate the Shrine Mont Camp facilities and assure their perpetual care. The Rt. Rev. Shannon Johnston stated, "We are deeply appreciative of this generous grant and it comes at a perfect time to help Shrine Mont and the Diocese achieve everything we want from the campaign to ensure that what is perhaps the signature ministry of our Diocese can really thrive. Our Shrine Mont camping programs are among the best in the Episcopal Church and this campaign will ensure this is the case for generations to come." In addition, as part of our commitment to service and mission, donors to the Shout It from the Mountain campaign may choose to have 10% of their gift go to Camp CTK in the Diocese of Christ the King, South Africa. Through our long standing partnership with the Diocese of Christ the King and our exchange of counselors, both camps have prospered. If you have questions about how to include this information as part of your gift or pledge please contact Kirk Gibson. Shrine Mont Camps are often the place where campers know God best. It is about joy and freedom and about being exactly who you are in God; living your life in your own skin, full of the Spirit. Your gift will bring us closer to making camp a reality for every child. Contact us to make a pledge, learn more about the campaign, or discuss making a planned gift. hope you all have a great summer 2016 on the mountain! I love that my kids are so excited about Shrine Mont Camps that they want to start packing already!